Interestingly, the background of all the award-winning films are the events from the recent history (even though the Festival was dominated by modern productions – from films about special agents from Seoul to romantic comedies about forty-year-olds from Beijing). The Eternal Zero is an epic war story about pilots fighting in World War II. This visual feast, with spectacular air battle sequences and the pompous sentences unavoidable in this genre, was the subject of a heated debate in Japan because of its nationalistic subtexts. It is based on a novel by Noaki Hyakuta, an author known for denying the Japanese war crimes. The message of the film is more complex, but its portrayal of facts is often questioned – Hayao Miyazaki, whose last film, The Wind Rises, took up the same subject, called The Eternal Zero a “pack of lies,” which tries to resurrect the propaganda mythology of the fighting pilots. And yet, the film raised the audience's interest, becoming a box-office hit - one of the ten top-grossing Japanese films in history. The Attorney is a well-made, classic courtroom drama set in the 1980s (at the time of Chun Doo-hwan military regime). Despite his low birth, Song Woo-seok makes an incredible effort to become a lawyer. To support his family, he takes up law-related jobs of little prestige, but eventually finds a market niche and achieves success. But when he learns that the son of his friend, the owner of a small restaurant, was arrested under false accusations, he decides to step out of his comfort zone and fight for justice. This story of a “decent man,” with its references to the classics of the genre (such as Mr Smith Goes To Washington), is based on a true story, and at the same time parallels, indirectly, the difficult road to democracy in South Korea. The third award winner, Barber's Tale, is the least conventional of the lot. Jun Lana's film, skillfully connecting the elements of tragedy, politics and social concerns with warm humor and psychological sensitivity, is set in the 1970s, at the times of Ferdinand Marcos' dictatorship. 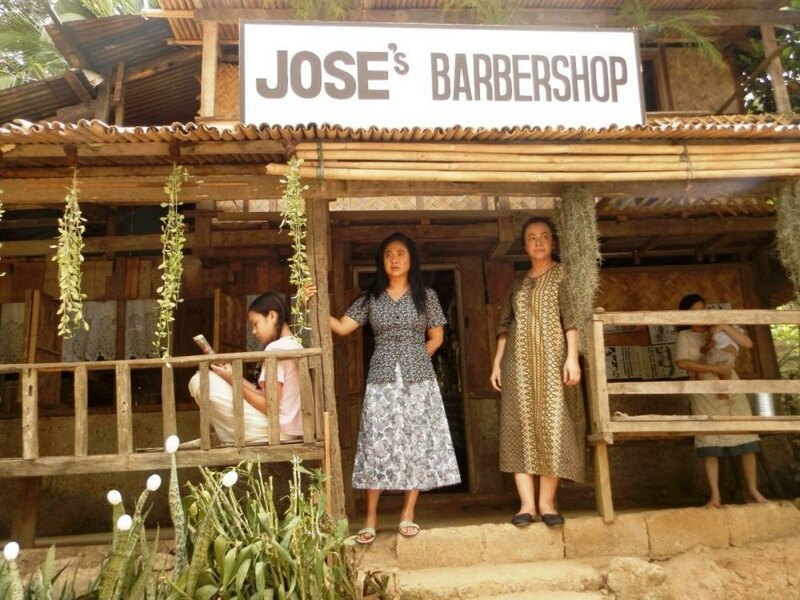 Marilou is the wife of the only barber in a small mountain village. The couple doesn't have children – when the husband dies unexpectedly, the woman faces the necessity of refurnishing her life. We watch her as she slowly learns her independence, and starts making her own decisions, changing from a house wife to a working woman to whom others come for support. The guerrilla fights against the regime, which initially form the background of the story, eventually become the main storyline. The simple story of a woman's emancipation becomes a metaphor for gaining political consciousness and taking responsibility for the fate of the society. It is accompanied by a series of subplots forming tragicomic portrayals of the life of the villagers: the family disputes, weaknesses, social nuisances, and religious rituals. Marilou is played by Eugene Domingo (awarded for this role at the Festival in Tokio), known in the Philippines from popular comedies. The Festival audience can recognize her from her self-parody in The Woman in the Septic Tank (Five Flavours 2012). One of the Italian critics compared her strong but quiet acting style to the genius of Anna Magniani. The audience in Udine gave Domingo a long standing ovation. The second intriguing Philippine title in the program, which came in second in the ranking on the Festival's Facebook page, didn't make it to the podium. Anita’s Last Cha-cha directed by Sigrid Andrea Bernardo is a subtle story of a first, childhood love, set in the Philippine province. The twelve-year old Anita (great debut performance of Teri Malvar) falls insanely in love with the beautiful Pilar, a mysterious woman who comes back to the town after years of absence. This unassuming story of a childhood fascination, first frustrations, confrontation with adulthood, and of becoming a woman is accompanied by threads revealing the lining of the local community's every-day life. Some of the women are preparing for a procession in honor of St. Clara, patron of fertility. Others face a dramatic decision about ending an unwanted pregnancy. Pilar, idealized by Anita, is ostracized by jealous friends, whose husbands visit Pilar's physiotherapy office with suspicious zeal. The film sometimes leans towards sentimentality, but is justified by the child's perspective it assumes – Anita's sugar-sweet fantasies about hanging out with Pilar are difficult to reject. Under the surface, however, lurk complex, mature emotions, and the very accurate, insightful observations on the nature of human relations.